A San Diego high school teacher has been arrested for trying to buy marijuana from a student. SAN DIEGO (CBS 8/ AP) - A San Diego high school teacher has been arrested for trying to buy marijuana from a student. Police said Tuesday that 34-year-old Miles Brown was arrested Feb. 25 on suspicion of attempted solicitation of marijuana from a minor and contributing to the delinquency of a minor. 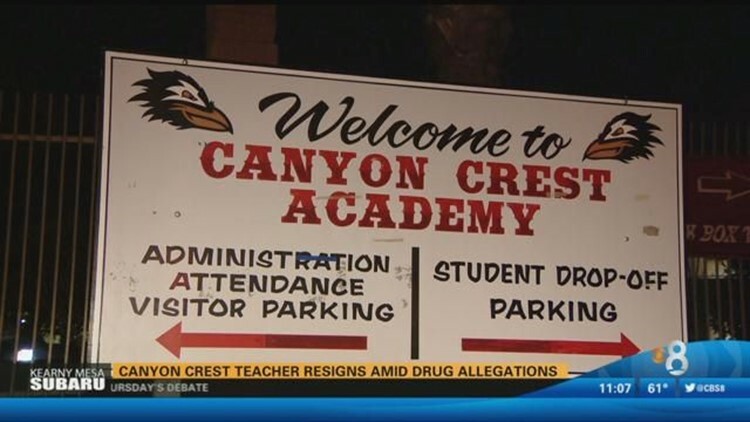 According to police, investigators were led to the Canyon Crest Academy teacher after conducting a follow-up investigation into drug-related allegations involving two students. The school website lists Brown as a social sciences teacher and lacrosse coach. CBS News 8 received confirmation that Brown has resigned from his position as a teacher and coach.